Our elementary program has an emphasis on basic skill development including reading, math, language arts, science, social studies, physical education, art and music. Seeds of Health Elementary School offers summer school courses with a focus on math, reading and enrichment activities based on teacher recommendation. Currently, each state has a separate set of education standards which are lists of skills that students are expected to do by the time they complete each grade. However, in response to concerns about American student achievement and just how prepared students are for college and careers, a nationwide set of standards has been developed for students intended to increase the challenge in our classrooms and develop students who are better trained for college and career. Seeds of Health has begun implementing the Common Core standards and we are confident that by adding these new standards we will be providing more opportunities for students to learn and perform at the highest levels possible. Seeds of Health programs have always been committed to helping students achieve the highest levels of literacy as they learn to read, write, speak and listen effectively. Building upon that tradition, we have focused our literacy lens on “disciplinary literacy.” Teachers in all subject areas—or disciplines—are striving to make sure that our students understand the literacy practices unique to their content areas. At Seeds of Health, all teachers are reading teachers and all teachers are writing teachers. It is our belief that students should read and write in every classroom every day. Parents want to see their child excel, and it can be very frustrating if a child falls behind in reading, math, writing, or other subjects, or if their child has difficulty getting along with others or making appropriate choices. 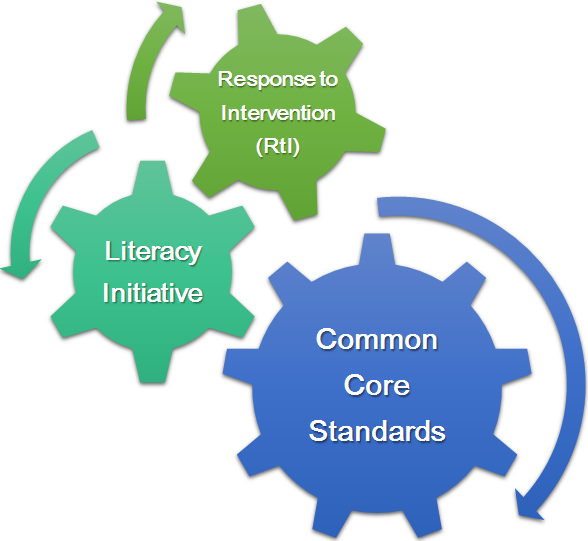 Response to Intervention (RtI) is a process that provides intervention and educational support to all students at increasing levels of intensity based on individual needs. The goal is to prevent problems and intervene early so that students can be successful.